Below are a couple of articles and a policy paper on tropical wildlife monitoring. For a more comprehensive list of scientific publications click here. You'll find a report on this work here. Pitman, N.C.A., D. Norris, J. Martínez González, E. Torres, F. Pinto, H. Collado, W. Concha, R. Thupa, E. Quispe, J. Pérez & J.C. Flores del Castillo. 2011. Four years of vertebrate monitoring on an upper Amazonian river. Biodiversity and Conservation 20: 827-849. Norris, D., N.C.A. Pitman, J. Martínez González, E. Torres, F. Pinto, H. Collado, W. Concha, R. Thupa, E. Quispe, J. Pérez, and J.C. Flores del Castillo. 2011. 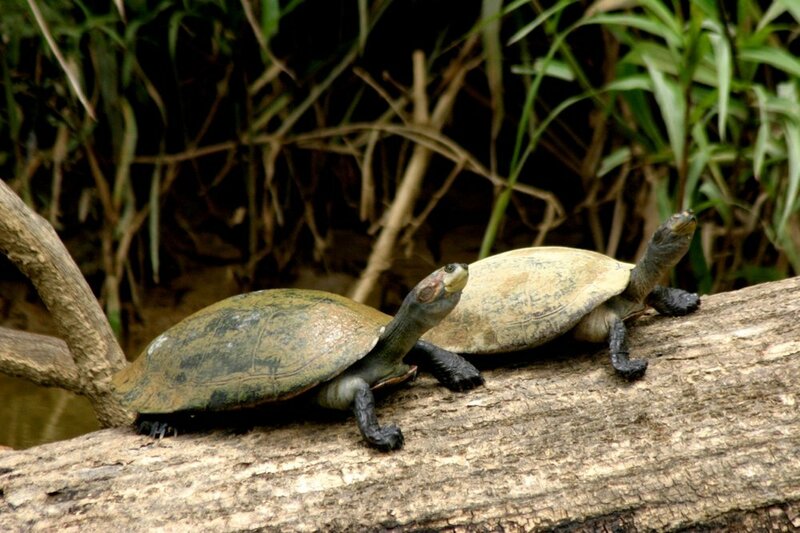 Abiotic modulators of Podocnemis unifilis (Testudines: Podocnemididae) abundances in the Peruvian Amazon. Zoologia 28(3): 343-350. Pitman, N. 2011. Social and biodiversity impact assessment manual for REDD+ projects: Part 3 – Biodiversity impact assessment toolbox. Forest Trends, Climate, Community & Biodiversity Alliance, Rainforest Alliance and Fauna & Flora International, Washington, DC. 50 pages.